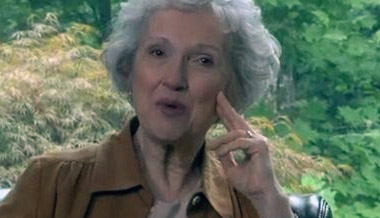 Phyllis Tickle is founding editor of the Religion Department of Publishers Weekly, the international journal of the book industry, and is an authority on religion in America. In addition to lectures and numerous essays, articles, and interviews, Tickle is the author of over two dozen books in religion and spirituality, most recently The Great Emergence, How Christianity is Changing and Why and The Words of Jesus, A Gospel of the Sayings of Our Lord. She is also the author of the notable and popular The Divine Hours series of manuals for observing fixed-hour prayer and general editor of The Seven Ancient Practices Series. Phyllis Tickle on quiet assurance and going interior. Phyllis Tickle on getting rid of our junk and putting together old things in new ways. Phyllis Tickle is not afraid of death. Have we talked our intentions to death the we’ve sapped them of the any Christian virtue?